One of our most popular packaging solutions, the Flashpad™, is a great tool to market a brand at an event or even as a mailed out promotion. We have found that not all companies benefit from USB flash drives, and that is okay! 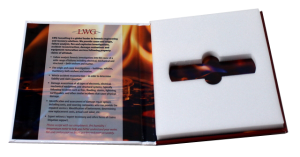 Since we are a custom manufacturer, we are capable of making a “pad” packaging solution for a wide variety of media, products, and literature. 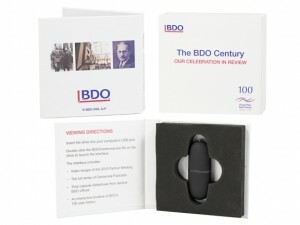 Shown here are a few examples of how organizations have tailored a simple product and created a memorable and effective promotional item. 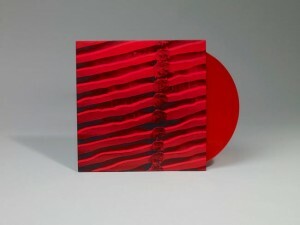 Design your own artwork to be printed, screen printed, or even foil stamped onto a, out side wrap. Once laminated, we will turn it over rigid chipboard to create the turned edge flat that acts as the exterior of the package. Once we have your item(s) that will be included, we can get to work on the foam! We offer a wide variety of foams all differing in color, thickness, and overall quality. A die is then created to die cut the foam to create appropriate cavities to hold your products safely and securely. Once the foam is adhered to the rigid flat and all of the pieces are fulfilled, you are set to distribute. Add value to your product and marketing efforts by branding your promotional pieces in this simple and extremely effective way. For many of our clients, custom packaging solutions need to offer more than simply a home to their products. 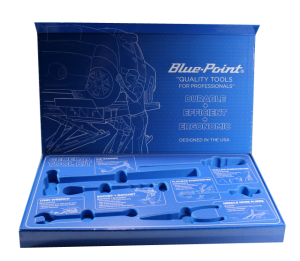 By utilizing die-cut foam in various boxes and other turned edge products, we offer product protection as well as professional display. Foams available in various colors and thicknesses, our clients have a wide selection to choose from that will compliment their product line or marketing campaign. At Sunrise Packaging, we came up with a packaging solution made specifically to hold a USB flash drive and give it a little extra weight- both literally and figuratively. With that in mind, we came up with the Flashpad™, a hardcover flat with die-cut foam adhered to the interior. 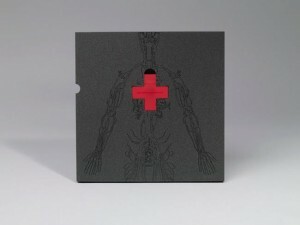 The piece serves as a book like product that holds a custom flash drive with pre-loaded data, or whatever the client decides. 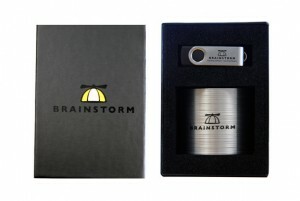 We found that there is a demand for this product, but not just for USB drives. Die-cut foam can be customized to any shape or size product, so we urge you- take a look at a few of these applications and see how foam adds value to the simplest of packaging solutions. 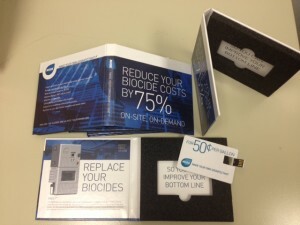 This Flashpad™ and USB drive combination was made for MIOX Corporation, located in Albuquerque, New Mexico. An award-winning manufacture of on-site chemical generators, MIOX removes the transportation, storage and handling of hazardous chemicals. With no project too large or too small, MIOX brings advanced water disinfection technology to multiple industries around the world. Their cutting edge hypochlorite generators and Mixed Oxidant Solution generators serve a wide variety of applications from industrial water treatment and cooling tower water treatment, municipal drinking water disinfection and wastewater treatment to oil and gas water treatment. For more information on their patented and cost-effective generators, visit www.miox.com. H ere is where the flashpad™ comes into play! MIOX attends and exhibits at industrial conventions and events in order to bring in business and spread awareness of their products and services. They needed a way to promote MIOX before the event and drive traffic to their tradeshow booth. To educate conference registrants prior to the event, MIOX chose a custom Flashpad™ and USB flash drive to distribute as a pre-mailer to promote their booth. MIOX’s flash pad has a turned edge case and holds a custom flash drive that was preloaded with various brochures and a promotional video! Watch this video to learn more about MIOX’s on-demand chemistry! 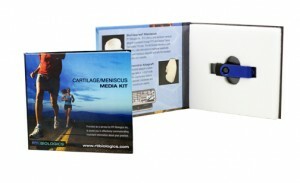 This is the second time MIOX has used Sunrise Packaging for their promotional packaging needs. In the fall of 2012 MIOX used a Flashpad™ as a pre-mailer and were so pleased with the result that they are at it again! We can’t wait to hear the results! Here is the newest youtube video from Sunrise Packaging, Inc. featuring the popular customizable Flashpad™. This product is perfect for promotional giveaways and event marketing. 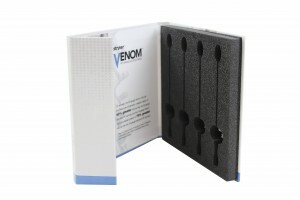 Economical and simple to manufacture, this package is sure to add shelf presence to anything you put inside. 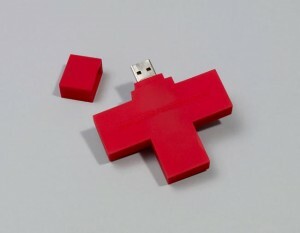 Get custom USB flash drives from us too, and we can even fulfill your order. Watch the video below to see how versatile this simple and professional packaging solution can be! 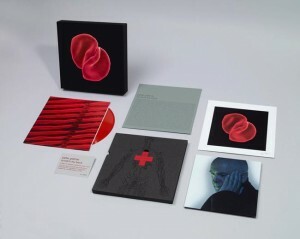 From boxes to binders, we create unique custom packaging solutions for a wide variety of products and marketing materials. One of the most popular and convenient ways to promote a brand has been with the distribution of USB drives or webkeys with company information and landing pages. 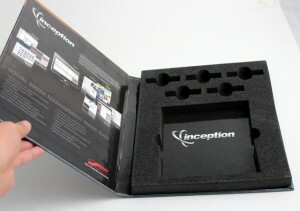 In order to extend the device and give it a little more weight, creative packaging solutions can add value to promotional giveaways by attracting more attention and staying on the radar of the recipient. Our customizable Flashpad™ and similar products have been proven to be economical to produce, simple to setup, and valuable to marketing efforts. By incorporating turned edge materials and manufacturing, the final result channels the look and feel of a hard cover book and is uniquely tailored to its designated brand message. 65th Annual WestPack is Coming Up Soon! In just a few weeks, representatives from Sunrise Packaging will be flying out to sunny California for the WestPack Exhibit and Tradeshow in Anaheim, CA. The 65th annual event is set to take place February 11-14 at the Anaheim Convention Center. The show is a great venue for suppliers, converters, automation companies and more to exhibit and share their expertise. The event, put on my UBM Canon is also in connection with MinnPack, EastPack, SouthPack…you get the idea. We have exhibited at both MinnPack and WestPack in the past and have nothing but wonderful experiences making connections and learning more about the packaging industry. While WestPack is a brilliant networking event, it is also an incredible educational opportunity for industry professionals whether they are new to the business or seasoned veterans. See for yourself: In this video from Packaging Digest Online, Roger Burg, vp, design & manufacturing portfolio director for show organizer UBM Canon, invites packaging professionals to the west coast’s most comprehensive product development resource. We hope to see you there — Sunrise Packaging will be set up at booth 5451! Custom Box Inserts: Foam or Plastic? 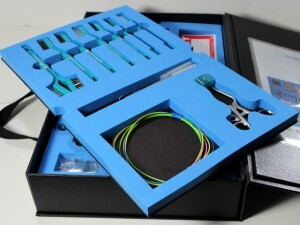 The videos below show two options for custom inserts in box packaging solutions. Both of these examples are rigid setup boxes, but plastic trays and die-cut foam can be used in a wide variety of our turned edge solutions. For example, thermoformed plastic trays sealed onto a turned edge flat can make a great album or sales kit that holds a selection of product samples. Check out these videos to see how you can customize inside cavities for your next packaging project. Sunrise Packaging just added a new YouTube video featuring a sample marketing kit that we put together in 2013. While we have already posted pictures, this video is a closer look at how all of the pieces of a cohesive marketing kit can go together and complement each other. All elements were made and fulfilled under our roof in Blaine, MN. 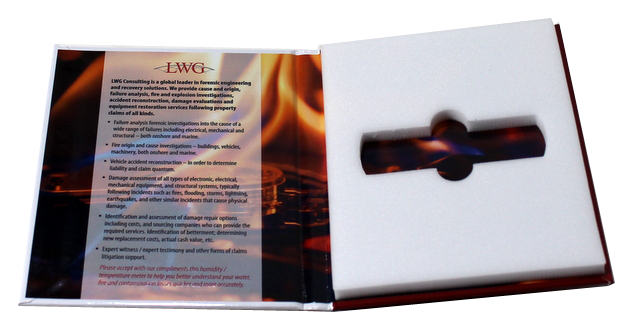 The kit features our turned edge manufacturing as well as our custom thermoforming capabilities and includes: cigar-style NetBox, thermoformed PVC tray, Flashpad with digital print and matte lamination, die-cut foam, and a custom credit card USB Flash drive. Watch the video below, or visit our youtube channel to see more products, processes, and more news from Sunrise Packaging, Inc.